When Bing Crosby brought his Clambake to Pebble Beach in 1947, he told the PGA TOUR that the event’s final round must include his celebrity friends. That mandate has continued through today. Crosby’s early friends included the likes of Bob Hope, Phil Harris and Johnny Weissmuller. Over the years, celebrities have ranged from Presidents Gerald Ford, George H.W. Bush and Donald Trump, to baseball greats Joe DiMaggio, Willie Mays and Ken Griffey, Jr., to quarterbacks Tom Brady, Peyton Manning and Aaron Rodgers, to actors Clint Eastwood, Kevin Costner and Mark Walberg, to father-son teams featuring the Jack Nicklaus, Johnny Miller and Rory McIllroy, among many more. Celebrities who have captured the Pro-Am team title include 2018 winner Larry Fitzgerald, plus Carson Daly, Billy Murray, Kenny G, Andy Garcia, Dan Marino and George Brett. Who is the greatest quarterback of all time? No matter what your criteria, he played in the AT&T. Tom Brady will compete in a record ninth Super Bowl on Sunday, but if you hold those three losses against him, the perfect Joe Montana also played at Pebble Beach. So did the man who commandeered the Comeback Kid’s job — Steve Young. If you admire the way to the position was played, perfectionists Peyton Manning and Aaron Rodgers are AT&T regulars. And if you’re looking for the best golfing quarterback, that honor belongs to another 49er. John Brodie won the pro-am as a 1-handicap in 1970, before competing on the PGA TOUR Champions and winning a tournament in 1991 via a sudden-death playoff over Chi-Chi Rodriguez and George Archer. Speaking of football royalty, the Mount Rushmore of running backs includes Cleveland Browns great Jim Brown, who led the league in rushing for eight of his nine seasons, and retired with his attached to nearly every important record. By the time Brown played at Pebble Beach in 1970, he was also a headlining box-office draw. Sean in London, 1962. ?❤? In Crosby’s early years hosting his Clambake in Rancho Santa Fe, Babe Ruth — the Sultan of Swat, the King of Crash, the Colossus of Clout, the Great Bambino — played in the celebrity event. When it moved to Pebble Beach after World War II, Joltin’ Joe — who won nine World Series in his 13 seasons with the Yankees and grew up in San Francisco — was a headlining attraction, along with the likes of Bob Hope, Mickey Rooney, Van Johnson and 1949 Pro-Am winner Lefty O’Doul. Carmel Cowboy Clint Eastwood made his debut in the 1963 Pro-Am. Eastwood joked it took him so long to get an invite because Crosby might not like cowboys. But Eastwood’s invitation that year included a note from Crosby that read: “P.S. By the way, I do like cowboys.” Eastwood is an institution around here, once serving as Mayor of Carmel and popularly repealing the town’s ban on ice cream parlors. 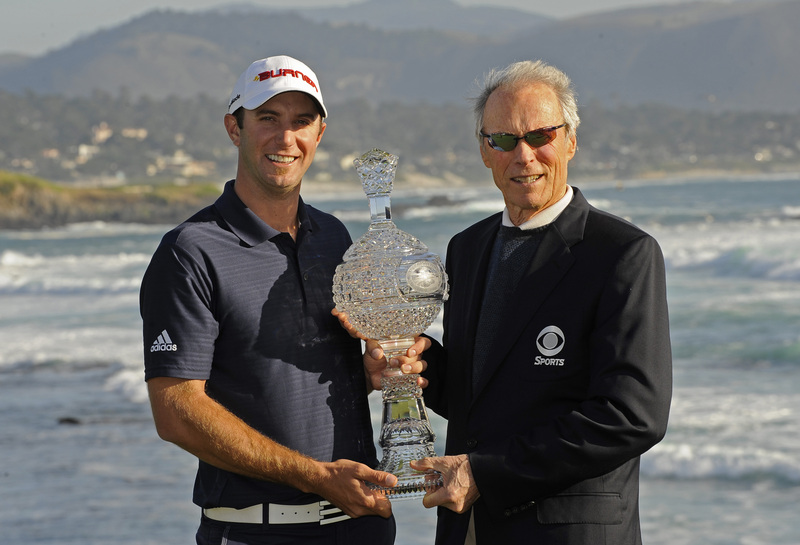 In many ways, Eastwood inherited the celebrity hosting duties from Crosby, and he still remains intimately involved in the tournament to this day. Eastwood is the Chair of the Monterey Peninsula Foundation Board of Directors. Dr. J didn’t pick up golf until he retired from free-throw dunking at the age of 37. He learned the game while playing with Michael Jordan’s high-stakes betting crowds, but enjoys a more casual match. “When the match is on the line, dropping a putt is just as exciting as dunking on someone,” Erving says. In case you were wondering, the 6-foot-7 Erving was still dunking at the age of 64. As Bing’s partner in crime, the two had a zinger-filled relationship for decades at Pebble Beach. Bing’s celebrity tournament came first, but Bob Hope followed suit by creating his own version in Palm Springs. 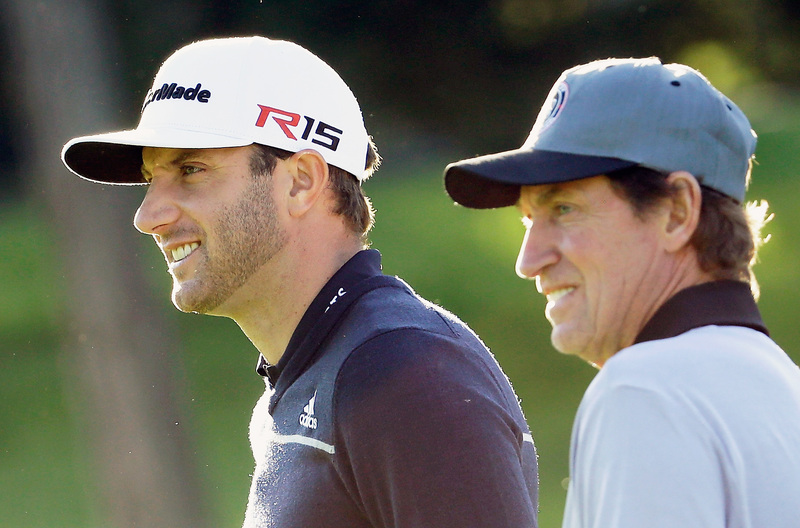 Joked Crosby, “His event attracts an older group.” But the two had a tight bond. Hope filled in as host for Crosby in 1973, even after his own tournament had gotten off the ground. The two popularized celebrities hosting PGA TOUR events, with Andy Williams, Frank Sinatra and Dean Martin all attaching their names to tournaments at one time or another. Sandy Koufax won four World Series and tossed four no-hitters for the Los Angeles Dodgers in his brilliant but short career. But no murderer’s row stacked up to Spyglass Hill for the newly retired Koufax, who left the game due to debilitating arthritis at the age of 30. Shortly after playing the recently built Spyglass Hill in 1968, Koufax quipped, “It is a great place. I hope they build a golf course here someday.” In his defense, Koufax had just spent one excruciating stretch losing seven balls in seven holes. Sign Up For Special Offers About Upcoming Events! For decades, an amusing storyline was following the plight of actor Jack Lemmon, an enthusiastic golfer who desperately wanted to make the three-day amateur cut with long-time partner Peter Jacobsen. “I would trade my two Oscars to make the cut and play on Sunday at Pebble Beach,” Lemmon once said. Lemmon never made it, even though he tried more than 25 times. 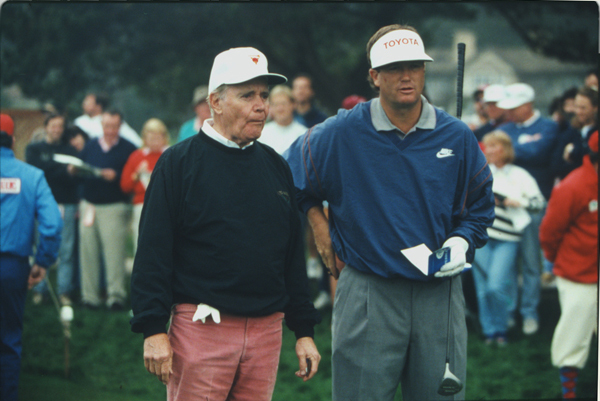 The cruelest break was in 1998, when Lemmon and Jacobsen were just four shots off the lead after two rounds. Torrential rains wiped out the third round and canceled the amateur competition. “It was like the search for the Holy Grail for Jack Lemmon,” Jacobsen said. Remembering the late, great Dean Martin who passed this week in 1995 ? 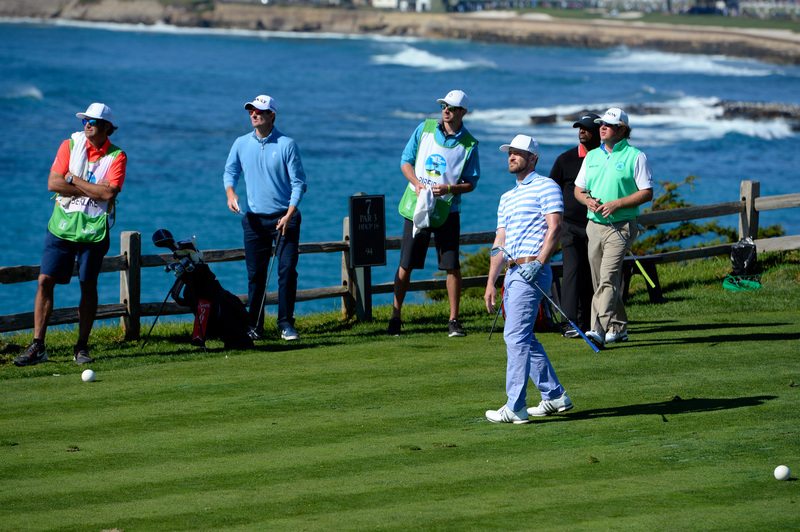 Who is your favorite celebrity you have ever seen at the AT&T Pebble Beach Pro-Am?